Just got a cute new puppy and want to make sure he stays obedient and playful instead of naughty and destructive? Or do you already have a dog that can be a bit unruly and want to know how to tame it the right way? Dogs are in some ways just like children and learn based on your reaction to certain things they do. Do you think you’ve been doing it all wrong or do you think you’ve tried everything you possibly can to make your dog behave? This article provides expert tips on how to train and discipline dogs that are out of hand. Read the points below for easy ways to do it. When it comes to how to discipline a dog, sometimes you have to think of them as little children. When you tell a little child “no” or “don’t do that”, a majority of the times they do not listen on the first command. Expect your dog to do the same thing and realize that good behavior is learned and takes practice. Discipline your puppy as soon as he becomes a member of your family. It is essential to teach your dog what he is and isn’t allowed to do and be consistent in disciplining him. Consistency prevents your puppy from being confused and will more like make him well behaved. An example of being consistent is telling off your puppy if he poos in the kitchen all the time until he finally learns that pooing in the kitchen is wrong. If you only tell him off once and not on the other times, then he will most likely not care about whether it’s right or wrong and poo in the kitchen anyway. No is considered as a disciplinary word so only use it when your dog has done something bad. Also, don’t call his name when telling him off, instead use it when praising him. When your dog is not behaving, stand in front of him and touch his neck (gently) and say “no” in a non-aggressive but firm voice. 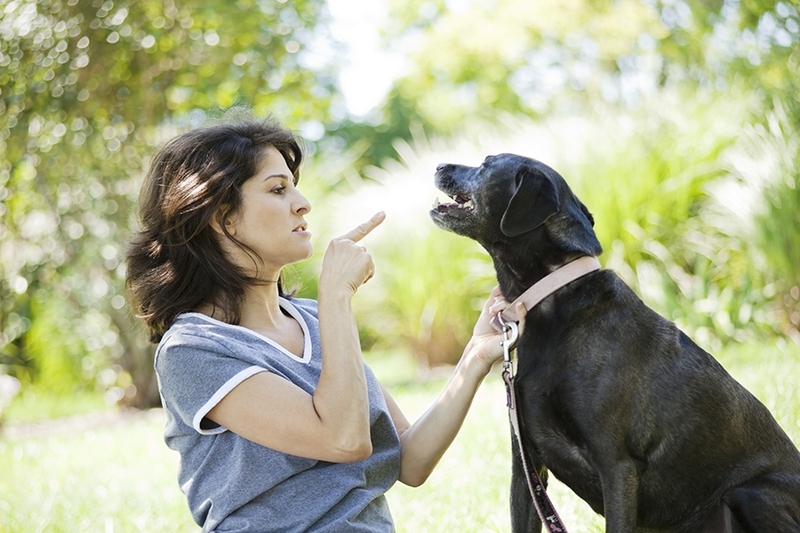 Never scream or yell at your dog, instead speak to him stern and assertively, as this displays leadership. Yelling will only make your dog scared of you. Set up a reward system for your dog and treat him to rewards that are of high value for behaving the right way. Positive feedback is always effective in how to discipline a dog. If you find that your dog is about to do something naughty then stop them right before they do it and instead, instruct them on the right thing you want them to do. If you have continuously instructed your dog to stop his bad behavior and he hasn’t listened then it may be time for a time out. Take him away from where he is and isolate them for no longer than five minutes as leaving him there for longer may confuse him. Time outs can be good when it comes to how to discipline a dog because after a few times spent in isolation, dogs usually get the message. The sit command is very effective; if they misbehave, tell them “no” and right after, say “sit”. This usually stops the bad behavior. Getting your dog hooked on a new object such as a toy stuffed with food will stop them from barking unnecessarily and teach him to wind down quietly. You can teach your dog to enjoy the company of other people by inviting your dog-loving friends over and having them give your dog special treats. Have them be gentle in their approach towards dealing with your dog and use special techniques which could ultimately have them lie down or sit on command to receive each treat. This teaches your dog to enjoy the company of others and respond reliably to people’s request. Staring could make your dog challenge or fear you in the long run because it is seen as threatening. The only time you should stare at your dog is if it is in an affectionate way and not a confrontational one. Research shows that physical punishment against dogs makes them more aggressive, so refrain from hitting, kicking or physically harming your pet. Harming them will injure them and may ruin the relationship between the both of you.